If you're into surrealism, The Bridge is sure to tickle your fancy. The Quantum Astrophysicists Guild has combined Issac Newton and M.C. Escher to make a very stylish puzzler. 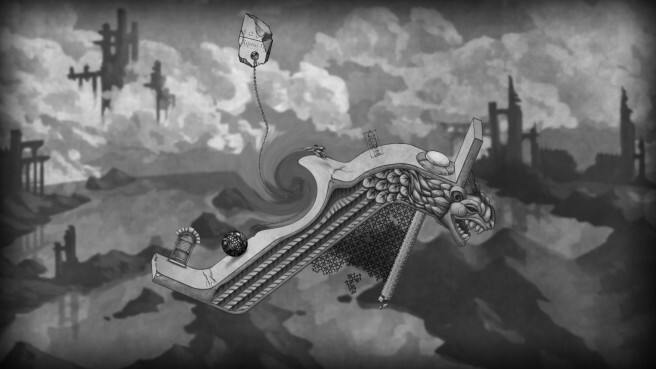 The Bridge is presented in hand-drawn black and white art, which looks incredibly smooth in action. You'll puzzle through upside down houses, surreal vistas that will have your eyes watering. The trailer above shows 17 minutes of gameplay in action. If your interest in peak, there's good news. The Bridge is coming out next Tuesday on the Wii U eShop.